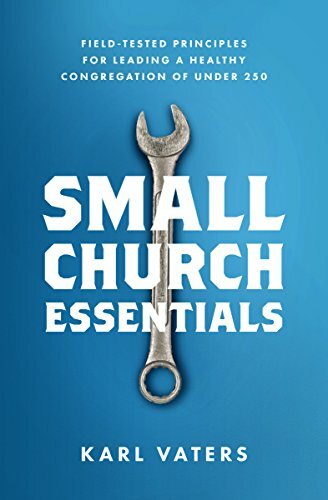 However, while Jesus’ church will never die, no such promise exists for individual congregations (as I described recently in what turned out to be a somewhat controversial article, Going, But Not Forgotten: A Tribute To Those Who Help Local Churches Die With Dignity). As hard as it is to close a church’s doors, it’s always a better option than giving up, but going through the motions. That’s what many hotels would have done if they’d been in the Europa’s shoes – board up the windows, but try to keep the hotel running. The Europa didn’t do that because they knew you can’t run a hotel that way. And their example is an important one for local churches to follow. Closing a church’s doors may be hard, but giving in to a siege mentality is unthinkable. And cowardly. I know that’s harsh, but if you’re going to be a church, be the church. Otherwise, close it down, let its assets be used by another church, and move on to something else. After all, the church has always been at its best, not when things are going smoothly, but when our backs are against the wall. No matter what attacks may come at us, no matter how frustrating it may be to feel like we’re always fighting an uphill battle, the church that Jesus promised he would build must always do more than just hang on and go through the motions. We must move forward in faith, strength and grace. While individual congregations may close, the church and our role in it must continue. We’re called to out-love the agents of destructiveness and keep the mission moving forward. Today, the Europa Hotel stands as a landmark in downtown Belfast. Every year it becomes a more vibrant symbol of the strength and courage of good people standing against and triumphing over violence and evil.